Who among the people depicted below is still alive? 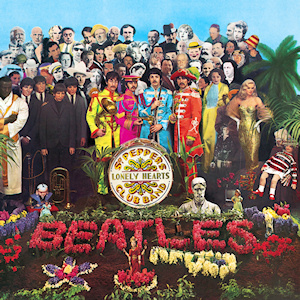 For some time now I’ve kept typing into Google variations on this question: “Which of the people represented on the cover of Sgt Pepper’s Lonely Hearts Club Band are still alive?” Lots of sites identify the people, but nowhere does it seem that there is a list of who’s alive and who’s dead. So I decided to take a few minutes on Wikipedia and make up such a list myself. *If you are of this opinion, go ahead and comment. Someone might respond. I won’t, but someone might. ****The same day C. S. Lewis died. And John F. Kennedy, also. 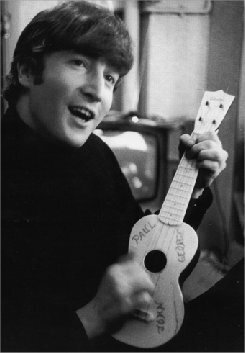 From 1995’s The Beatles Anthology DVD: George Harrison plays the ukulele, Paul McCartney sings, Ringo Starr keeps time. Thanks to ukulelehunt for linking to this story about a pair of ukuleleists who played all 185 Beatles songs as a benefit performance for Warren Buffett, the world’s richest man. An ardent uke player himself, Buffett donated the money to Girls, Inc., a group that offers services to at-risk girls in and around Omaha. They are to use it to buy ukuleles, of course. Here’s Warren Buffett playing ukulele, accompanied by his son Peter. He may not exhibit a tremendous amount of virtuosity, but he does have a winning way about him. It reminds me of what B. B. King said at the National Press Club in 1995 when he was asked what he thought of Bill Clinton as a musician. He quoted his father’s favorite saying, “The boss may not always be right, but he’s always the boss.” “So, in that spirit, the president, as the president, is a good musician.” So, in the spirit of B. B. 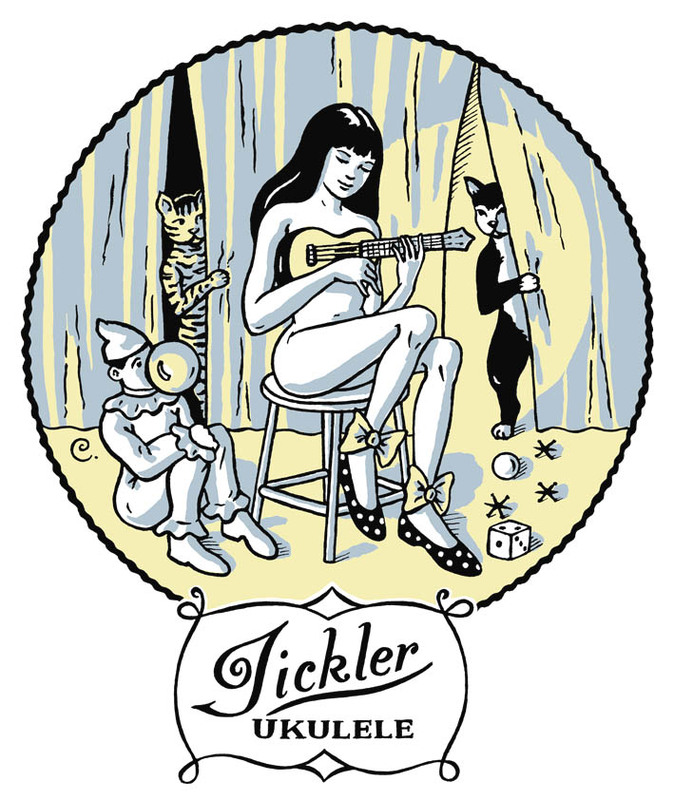 King, I can say that the world’s richest man, as the world’s richest man, is a good ukuleleist. Oh, and one more thing. Since I’m always posting about the writings of various “paleoconservative” pundits, I’d be remiss if I didn’t mention that Warren Buffett’s father, Congressman Howard Buffett, is one of the patron saints of America’s antiwar Right. One more step toward peace, tolerance, understanding, and delusional, hypocritical, self-aggrandizing, pompous-assness. 4. Live-saving and poverty-preventing contraception. A recognizable face above; artwork by Amy Crehore below.